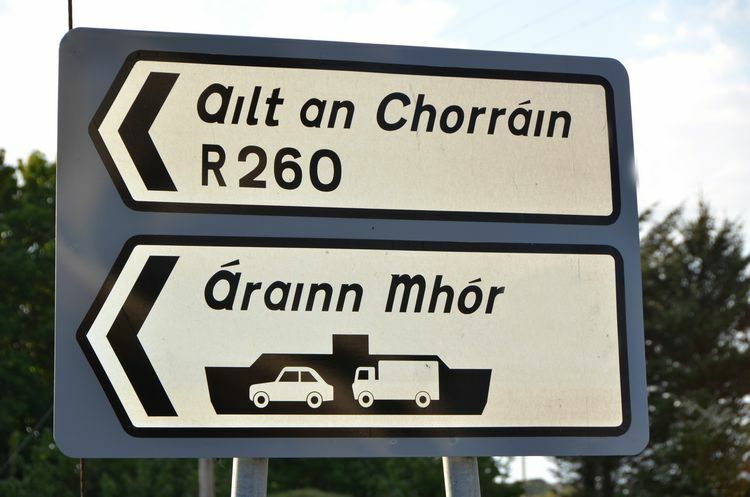 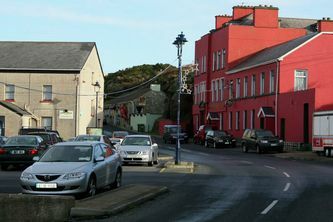 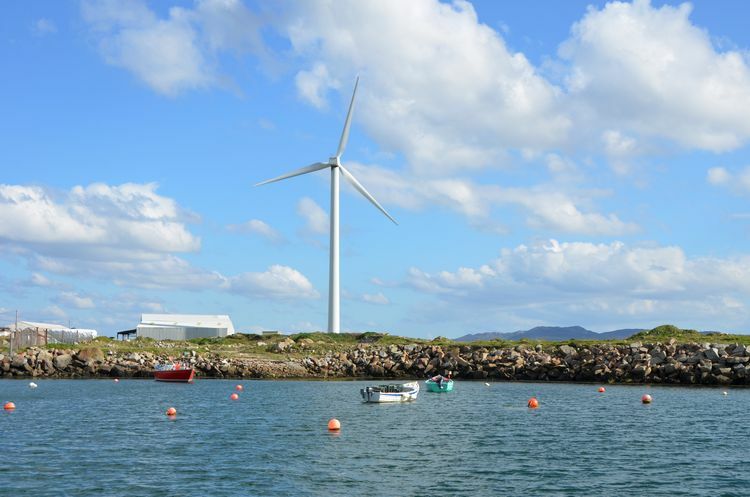 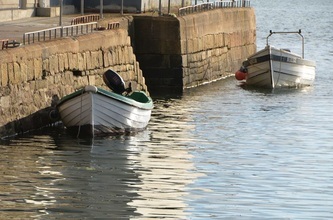 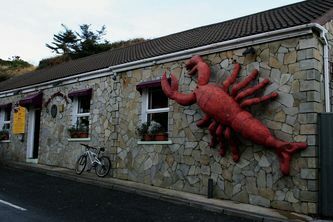 Ailt an Chorráin ~ meaning "curved ravine"
Burtonport is a small fishing village on the coast of Donegal. 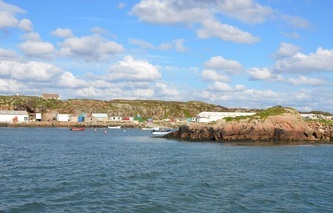 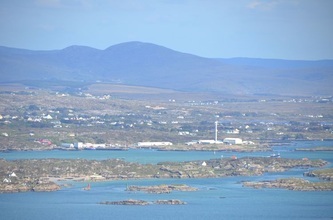 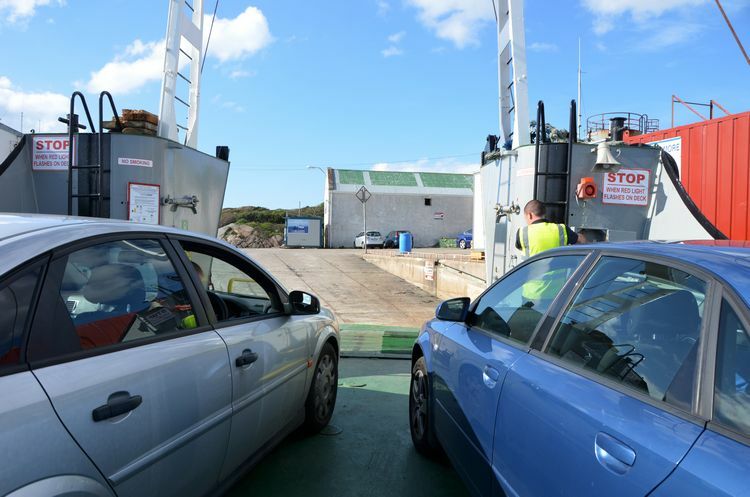 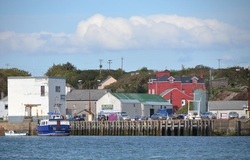 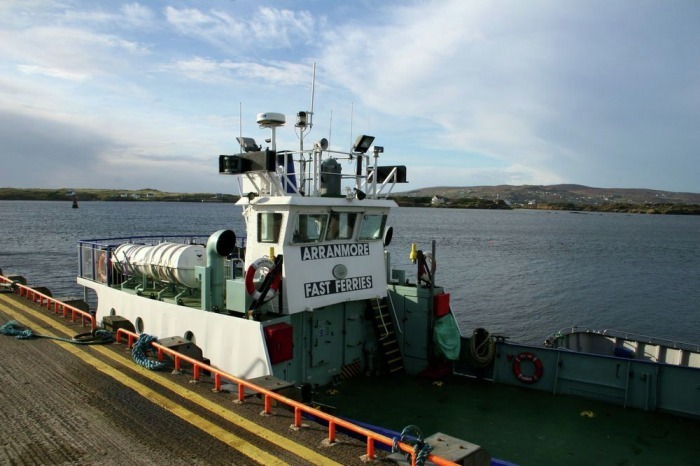 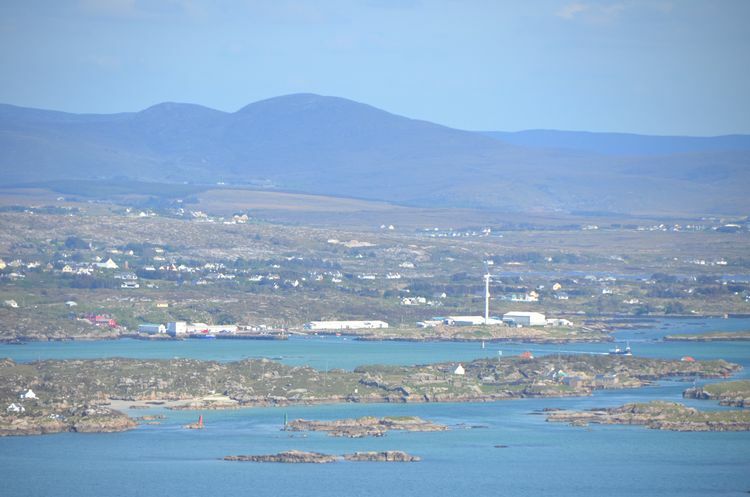 It is from here that one can take the ferry to the nearby island of Arranmore with sailings daily. 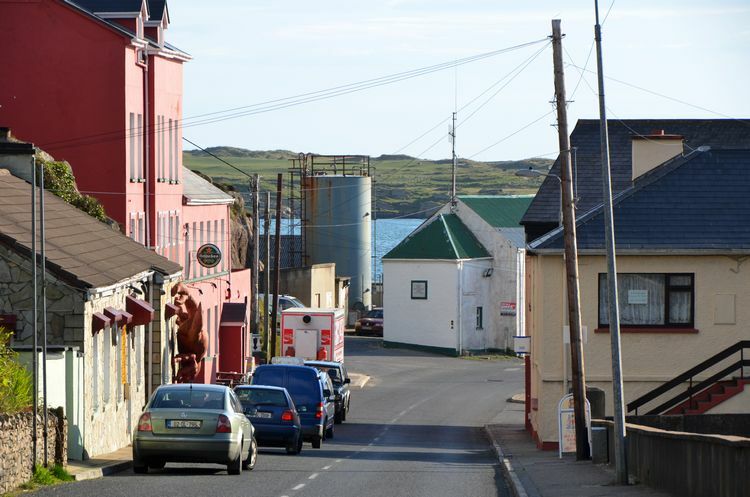 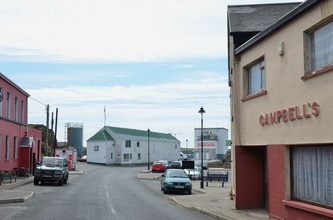 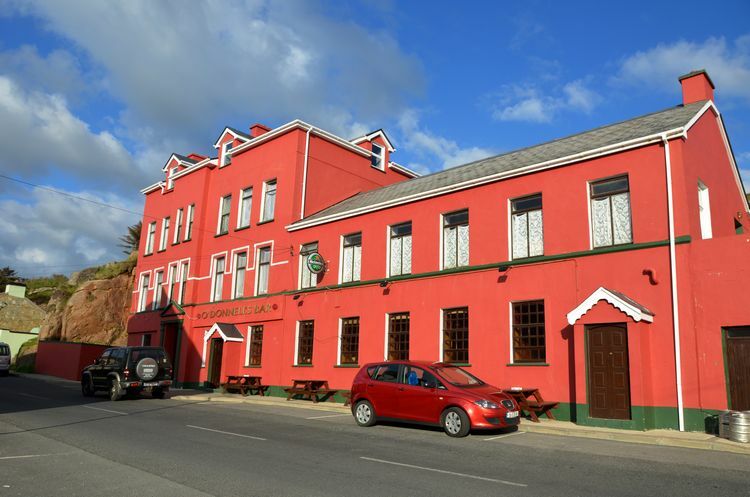 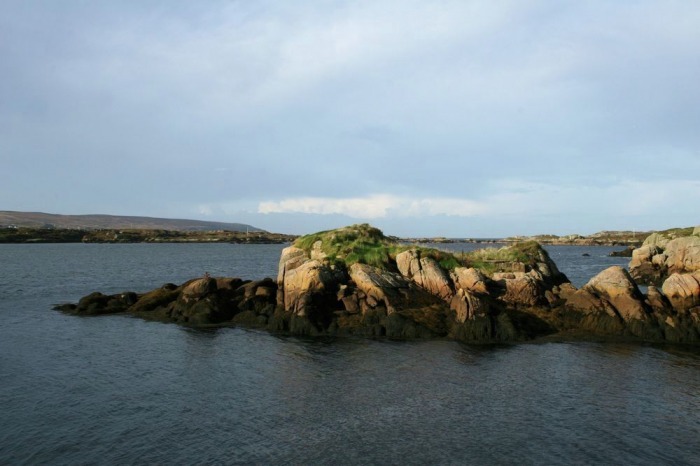 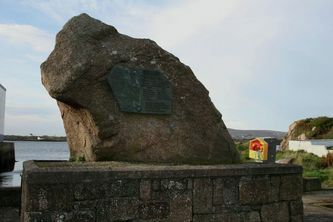 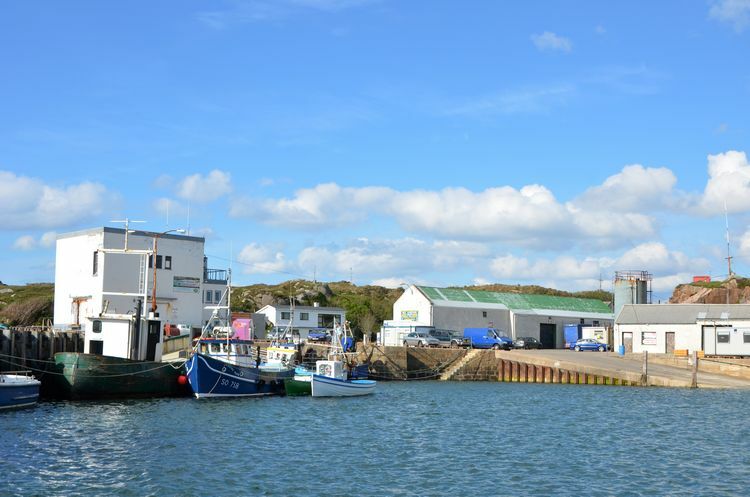 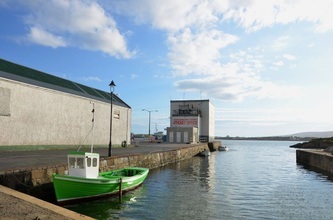 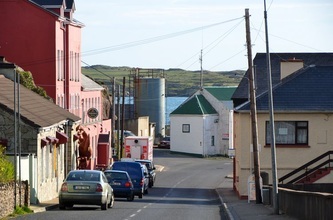 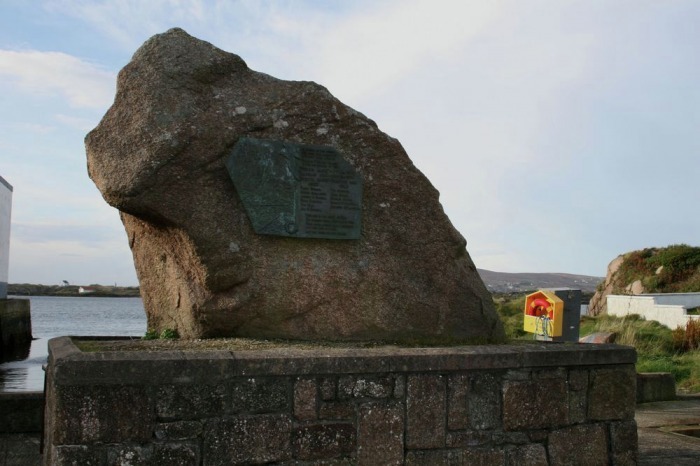 The name is, like many places in Donegal taken from a landowner in earlier times in this case Burton Conyngham who built houses on nearby Rutland Island and accessed the island from Burtonport and had a small pier built for himself there which was referred to as "Burton's port". "In memory of the young men from this community who lost their lives at Rathlin O'Beirne Island in the shipwrecks of the Eveyln Marie 17th Jan 1975 and the Carraig Una 23rd Nov 1976. 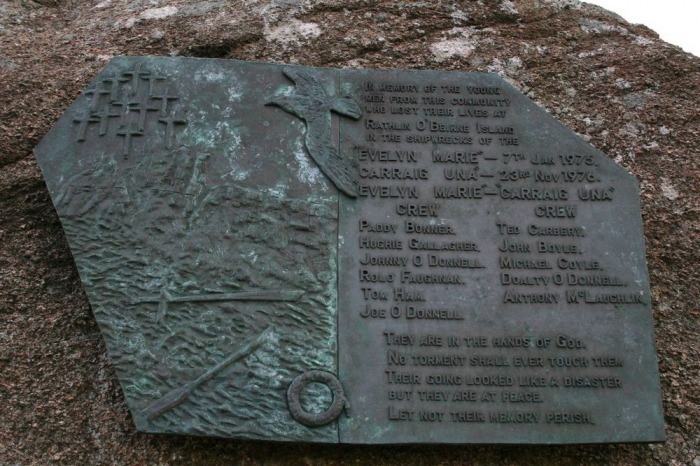 Evelyn Marie crew ~ Paddy Bonner, Hughie Gallagher, Johnny O'Donnell, Rolo Faughnan, Tom Ham, Joe O'Donnell. 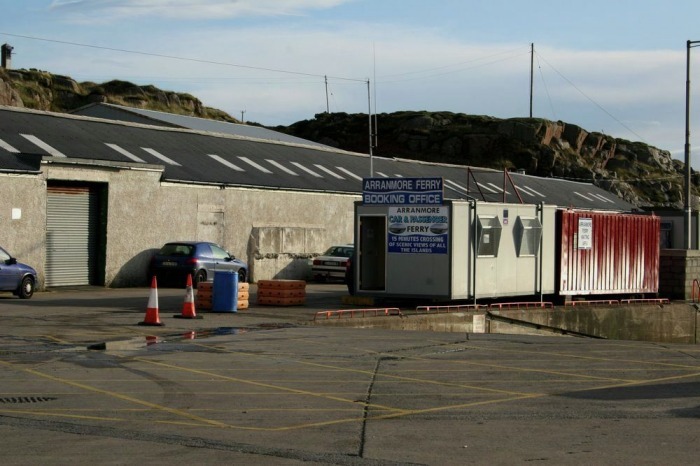 The Carriag Una crew ~ Ted Carbery, John Boyle, Michael Coyle, Doalty O'Donnell, Anthony McLaughlin. 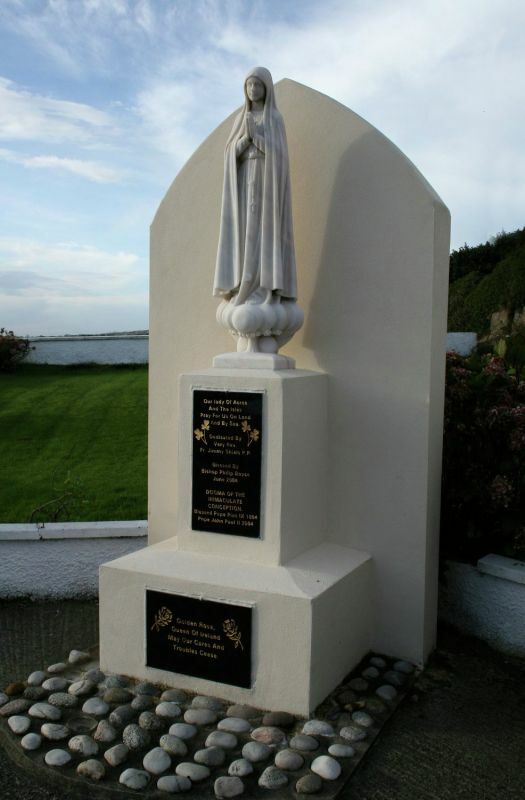 They are in the hands of God. 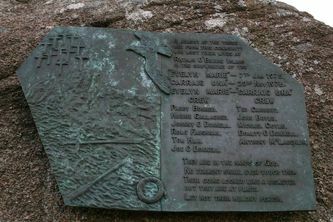 Let not their memory perish." Click on any of the photos below to enlarge. Google map at the end of this page.